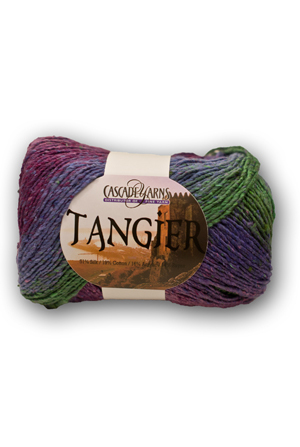 Tangier is an exciting blend of silk, cotton, and acrylic fibers. Tangier is a worsted weight yarn that has a subtle tweedy, slubby look once knit. This delightful multi-colored yarn self-stripes in a variety of beautiful colors and is great for against the skin knits, sweaters, shawls, or scarves.